Shah Waliullah (1702-1762) was among those personalities whose appearance on the scene of history in the early 18th Century marked the beginning of a new life in the Muslim East: an innate impulse in the society that was thwarted by the onslaught of European colonialism, perhaps only temporarily, and is now gradually becoming more visible again. The prophetic method of teaching, according to Shah Waliullah, is that, generally speaking, the law revealed by a prophet takes especial notice of the habits, ways, and peculiarities of the people to whom he is specifically sent. The prophet who aims at all-embracing principles, however, can neither reveal different principles for different peoples, nor leaves them to work out their own rules of conduct. His method is to train one particular people, and to use them as a nucleus for the building up of a universal Shariah. In doing so he accentuates the principles underlying the social life of all mankind, and applies them to concrete cases in the light of the specific habits of the people immediately before him. The Shariah values (Ahkam) resulting from this application (e.g. rules relating to penalties for crimes) are in a sense specific to that people; and since their observance is not an end in itself they cannot be strictly enforced in the case of future generations. I’ve been thinking for a long time about this letter for you. It’s finally today that I got down to writing it. By the way it’s your turn also by the merit system. I’m doing fine out here. Maybe you’re interested in what I’m doing here. Life is fast but because of the routine, happy! Settled in a way that is. Studies are there mainly of all sorts of things about aircraft – the fuel systems, communications, navigation, aerodynamics, engines, and all sorts of other systems. We also do a bit of procedures – what you do when you get lost without radio and such like things. Besides that we have GIT (ground combat training). We learn all about guns, fire them and so on (ground guns only: light weapons like rifles, light machine guns, sten, pistol, grenade). We’ve done the M-I and the Bren (LMG). It’s real fun at the range – real noisy too! The chatter of the automatics and the steady song of the rifles make it sound like doomsday! It’s just like the movies – the firing I mean; the sound is surely a lot more (usually we stuff our ears with cotton). Of course we’ve had our share of sore shoulders (the rifles kick!) The LMG of course does not kick, it just sort of vibrates. Then there’s gliding – for sport. It’s fun though you hardly ever go up above 1000! I’ve done a take off and tried my hand at landing too but the thing just doesn’t go straight! (If there’s even a slight breeze it carries the thing with it!) So that’s all I’m doing here – next time insha Allah I’ll be learning to fly T-6G’s (Harvards to you). Maybe then you’ll hear more nice stories. So much for that. Now let me know what you are doing? Studies, the usual bore? But cheer up! They’ll soon be over, honestly, I’m telling you – you won’t know it and the day will be there when you are free. You’ll be surprised by it, I can assure you. At this stage maybe I should pore out my lecture to you as an elder brother – at least I’m supposed to, it’s only that I’ve no lecture for you but just a piece of advice more as a friend than as an elder brother. I don’t ask you to do anything for me, for yourself or for anybody for that matter, for I can’t ask you – It’s your life, your wish, your will, your mind, your world. I am sure you know best and you do your best for the best for your aims. Believe me, when I say that I have the fullest confidence in you, I know you both better than anybody else – at least I can claim too! And I can also say with the fullest confidence that you are both, fortunately or unfortunately, bright characters. I know for certain that you are not kids for all your actions you have reasons – as all grown ups have. You like to play cricket because you want to become cricketers – that’s that! You don’t like to go to parties – You must be having your reasons (I had mine too!) but then I wasn’t confident as you and hardly ever refused. They seem stupid and meaningless, don’t they? People behave in a silly manner or so it seems. You feel out of place and stupid as well! They are simply suffocating! But now I like to go to parties. Why? You know as well as I do! So as I was saying you must have a reason for everything – you do have, isn’t it? Nothing in this world is meaningless, if we just stop and think about it. I’m sure you know that already and I’m sure you never let things pass. Only fools do that. It follows from all this that everything, every person, belief, action has a reason, isn’t it? But then there are so many things we never think about – we never bother because we think we are too busy, don’t you think so? Have you ever thought of why you go to school? Why do we have education at all? Why do the astronauts go into space? Land on moon? Millions of dollars spent on a trip which at first sight seems to be just a good ride, isn’t it? Just think, millions of dollars! I still think it’s not a waste, there’s an excellent reason for it! Imagine people working, and working, for humanity to progress – why? Why can’t we be like animals? You must be knowing already that it is just because man wants to know the truth, the truth about himself, about the world, about everything. This is what they call the eternal quest for truth or truth through knowledge. Of course religion gives it all to you in a concise form but it does not stop you from finding out for yourself and strengthening your belief. That is how it must be with you. You must find out the truth yourself. Satisfy your self. The books just give you the thing how it happens. People can just advise you. How? And Why? You must answer yourself. Think it out. It’s just like geometry, your reasoning, use it! Try to find for yourself what happens around you and why? Wake up! (That’s what the drill instructor says!) Whatever appeals to you, think over it and come to your own conclusions about it. You have every right to. Similarly with other things. Do you know why the car runs? Or why the plane flies? How the astronaut reaches the moon? Find out! So many delicious secrets to be known by you, so many worlds to conquer – all yours! How does your body work? Why doesn’t the roof come down? Where does the picture come from in the TV? What makes a fast bowler’s ball “swing” and a spinner’s “turn”? Why is the ball red in cricket and white in hockey? Why do they have cinemascope screen on the oval? Why they call a cricket field an oval? I hope I’m not getting boring? It also follows from all that I’ve said that you also in this world enter with some purpose, some reason for being here – and now it is up to you to accomplish it. It is for you to decide where you fit in the giant machinery of our world. Soon, very soon, people will look up to you as the man – maybe the nation’s leader; do not let them down (You can be anything; it’s all up to you). You owe it to your family, to your country, to the world to be something and to prove as good for it. You owe it to yourself! Great men are not born; they make themselves great. Be a man so that the people are proud of you like Rafiqui, Maj. Aziz Bhatti, Dr. Barnard, Churchill, Gandhi, the Quaid. Wouldn’t you like them to be? I’m sure you would! Never be mean, selfish, or tricky to accomplish your aims – I mean to say never lose the good quality you both have: straightforwardness. If you’ve done something wrong you’ve done it, what can anyone do about it? If you are sorry, say so. If you think it’s nothing to be sorry about, forget it! 3rd Nov 69. Continuing my lecture: Being straightforward on the other hand does not give you the passport to be careless – you must not have that in mind, for it will show that you know you are wrong and you don’t do anything correct yourself. Isn’t that so? As a mater of fact it should (being straightforward) help you realize your mistakes and limitations (you have these – no man is free of them.) But once you realize yourself your mistakes try to correct them, take pains to do it. Honestly, you’ll like the way you work on yourself. You’ll be a better person – No I don’t mean you’re bad; you are both good chaps and for good chaps the aim should be to become exceptional fellows. Now you will ask what will I get by becoming good? Why should I be good at all! That is one question and statement which no one has been able to answer satisfactorily because you get very little, by doing good, naturally. Then the only plausible answer left is that you get the satisfaction and mental peace, you get rewarded in a later stage of your life. Personally I’d answer the question in a different manner altogether. You being unselfish never do anything for yourself – (I hope you take me seriously; it sounds silly, doesn’t it?) But you do it for others. Why? Because as I said you owe it to them – it is their right! How? It is their right because you are their son, their brother, uncle, cousin. As your parents they’ve brought you up for what? They’ve put up with all your wishes and whims, stayed up nights when you were ill, fed you, clothed you and what is more, they have never claimed what is their right on you. (“Why?” is another question I’d like you to think about). Even though they never told me that I owe them anything, I know that I do. I know too that I’ll never be able to return all that I’ve got from them (I’m not talking of material things). I am what they made me. You must understand this. Besides this I’m sure you have great ambitions to become something really fantastic. You must prove to yourself these ambitions are not mere dreams (I can tell they are not if you just work hard enough). You want to be a hotrod army officer – commando chap? Go ahead plan your work that way, play that way so that you are fit for the job. You want to go to USA on scholarship to become a rocket and spaceship designer? Work for it. You want to rise like Napoleon (I wish you’d read his biography – by Emil Ludwig)? Think and plan in his style. In short concentrate your energies in one direction do not waste them. I’m sorry I am not able to give all this advice emphatically for I myself suffer from a lot of drawbacks. Nevertheless you would learn from your and others’ mistakes and do well. One more bit before I wind up: please do read. Read anything – comics, autobiographies, novels, anything but do read with a clear mind; never just for the heck of it; and then try to find out what is it that appeals to you. In this connection, Rukhsana and Farzana will be in a better position to advise you than I am but then I can tell you a few good books. Little Men by Luisa M. Alcott. In biographies, Churchill’s and Napoleon’s are the best. Of course you may come across some exceptional ones just by fluke. Personally I liked war books better Reach for the Sky (Paul Buckhill) and Dam Busters – then of course Alistair Maclean’s HMS Ulysses – are the ones I read the earliest. They are very absorbing. (The underlined books are in my shelf you can have them). So then I hope you did not mind very much the long lecture. In any case I’ve spent five hours on it. It is all up to you how you take it. Do write to me. Anytime you want to know anything – anything – you let me know and I’ll send you a précis like this. Any time you feel stuck anywhere, let me know. Do let me know your views about the happenings around you as well. If there are any questions, do not hesitate – if you want confidential answers that too could be arranged! Anything that interests you, any book, anything you’d like to try your hands at and dad doesn’t approve of, let me know – maybe I’ll convince him. When I get a reply to this letter maybe by then I’ll have completed my second dose to you. P.S. Vol. 2 will not be so general. I’ll talk of one topic, in science maybe. P.S. Keep Vol. I so that I can read and laugh when I get to Karachi. Rashid. Sheikh Ahmad Sirhindi (1564-1624), popularly known as Mujaddid Alf-i-Sani (the Renovator of the Second Millenium), was a great Sufi who defied the religious experiments initiated by the Mughal emperor Jalaluddin Akbar and emphasized the uniqueness of the Muslim nation. In a famously quoted anecdote he is said to have refused to bow down before Akbar’s successor, the Emperor Nuruddin Jahangir (1569-1621), himself a precursor of Muslim nationalism in his own way. Sirhindi’s crucial role as a supporter of Muslim nationhood is mentioned by Iqbal in the poem ‘To the Sufi Masters of Punjab’ in Gabriel’s Wing (see Chapter 90 in A Novel of Reality). The poem was apparently based on an actual visit to the tomb of the saint in the late 1920s, in which Iqbal’s son Javid, a little child at that time, also accompanied him. …a great religious genius of the seventeenth century… whose fearless analytical criticism of contemporary Sufism resulted in the development of a new technique. All the various systems of Sufi technique in India came from Central Asia and Arabia; his is the only technique which crossed the Indian border and is still a living force in the Punjab, Afghanistan, and Asiatic Russia. I am afraid it is not possible for me to expound the real meaning of this passage in the language of modern psychology; for such language does not yet exist. Self-Development through Iqbal is a 10-week online course from the Republic of Rumi Website, and is certified by Iqbal Academy Pakistan. It will start on October 3, 2011. Registration closes two weeks before the beginning of the session. The course will be repeated in January, April, July and October 2012. 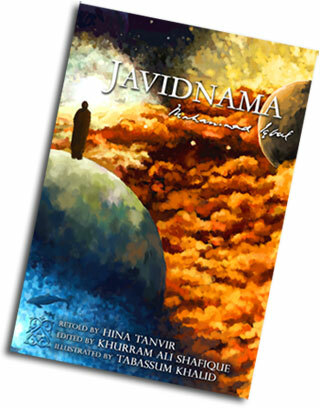 The following passage from ‘The Human Ego – His Freedom and Immortality’, the fourth lecture in The Reconstruction of Religious Thought in Islam (1930-34) serves as a good introduction to Iqbal’s position on the issue of destiny and free will, which forms a central theme in his depiction of the Sphere of Mars in the fourth chapter of Javid Nama. ‘Afterwards his Lord chose him Adam for himself and turned towards him, and guided him’ (20: 122). ‘When thy Lord said to the angels, “Verily I am about to place one in my stead on Earth”, they said, “Wilt Thou place there one who will do ill therein and shed blood, when we celebrate Thy praise and extol Thy holiness?” God said, “Verily I know what you know not’” (2: 30). ‘Verily we proposed to the Heavens, and to the Earth, and to the mountains to receive the “trust”, but they refused the burden and they feared to receive it. Man undertook to bear it, but hath proved unjust, senseless!’ (33: 72). On the morning of August 14, the last British Viceroy Mountbatten attended a ceremony at the Constituent Assembly Building (now the Sindh Assembly) in Karachi. There he “transferred the power” to the Governor-General designate Quaid-i-Azam Muhammad Ali Jinnah and the elected representatives of the people. The nation had become independent but technically speaking, Pakistan was not yet born. The Viceroy flew off to New Delhi the same afternoon. The Union Jack was still flying in the Governor-General house when it was suggested to the Quaid that it should be removed now that British had left. He refused, since such discourtesy would have been beneath his dignity. Hence the British flag was brought down at its appointed hour of the sunset and not without due respect. That sunset also marked the beginning of the 27th of Ramadan – the “Night of Power”, which according to the Quran was better than a thousand nights, when angels and the Spirit descend on the earth in order to carry out every task under the direct command of the Creator. It was a night which, according to the Quran, is peace till the dawn. The Quran itself had been revealed on this night more than 1300 years ago. The radio station of Lahore went on announcing itself as “All-India Radio” till shortly before midnight. The question then arose whether the “Independence Day” should be celebrated on August 14th or 15th in the future? My friend Aqeel Abbas Jafri tells me that he has seen in the national archives an official circular that was properly circulated the next year stating that although Pakistan came into being on August 15, it would be more appropriate if it celebrates its “Independence Day” on August 14, since the nation had technically become independent with the transfer of power by the last Viceroy. This practice has been followed since 1948. Unfortunately there is no dearth of sensationalists who distort these facts in order to gain quick attention. They raise objections to the celebration of the Independence Day on August 14. I almost became a victim to one myself when I read his book The Murder of History in Pakistan in the early 1990s. The author made much of the fact that Pakistan was born on August 15, and therefore it was wrong to celebrate the Independence Day on August 14. This author did not care to address some basic questions which any historian with a shred of self-respect would have tried to answer before raising the alarm: When was the date of the Independence Day changed to August 14? Who changed it, under what authority and was any reason given? Documents are available in the national archives and they leave no room for ambiguity. The argument presented in The Murder of History in Pakistan has been picked up by countless other sensationalists. Neither of them has the self-respect to even raise these basic questions. We cannot say whether they fail to raise the questions because their real intention is not to set the record straight; they just feel sorry for having become independence, since they have been raised up with a slave mentality and therefore it hurts them when they see everybody else celebrating independence. On our parts, it is our duty to know the facts. The people of Pakistan became independent on August 14, 1947 AD (Ramazan 26, 1366 AH). As an independent nation they themselves created Pakistan the next day, August 15, 1947 AD (Ramazan 27, 1366 AH). The birthday of Pakistan is August 15 just as the Quaid-i-Azam Muhammad Ali Jinnah mentioned in his inaugural address to the nation that morning. The “Independence Day”, in all fairness, cannot be the same date. It has to be the day when power was transferred to us (at least to those of us who are willing to have it). That was August 14, 1947. Postscript: My answer is “Yes”, and I hope that so is yours. Happy Independence Day, August 14, 2011. Special announcement: August 14 next year will fall again on Ramazan 26. Once again, the night of the Independence Day will be the “Night of Power”. Shams-i-Tabrizi, or Shams of Tabriz was a qalandar who visited Maulana Jalaluddin Rumi (1207-1273) in Konya, most probably in 1247, and then disappeared. Little else can be verified about him with any degree of historical authenticity. At least two cities claim to be his burial places: Khoy (Iran) and Multan (Pakistan), but how he may have arrived in either of these remains unclear, as are the circumstances of his death. Some classical biographers have also transposed events from the life of Shamsuddin Muhammad, the 28th Imam of Ismaili Shias, who died in 1310. The layers of ambiguity surrounding the historical personality of Shams are well-matched by the treatment accorded to him by his famous disciple. Rumi not only named a collection of his own ghazals after his mentor, calling it Divan-i-Shams-i-Tabriz, but also referred to him with great admiration in the Masnavi. The well-known anecdote about Shams Tabriz throwing the books of Rumi in water and then retrieving them, as well as the alternate version used by Iqbal in Secrets and Mysteries (see Chapter 18), may have been floated by the inner circle of Rumi’s disciples as a similitude for the true nature of the epiphany experienced by Rumi upon meeting his mentor: Rumi became aware of a source of knowledge higher than books. The anecdote, if treated as a parable, offers yet another possible interpretation. Only eleven years after the meeting between Rumi and Shams, the sum total of the five hundred years of Muslim civilization got burnt down in the form of the libraries of Baghdad, and the ashes went down the River Tigris, just as the books catch fire and are thrown into water, respectively, in the two different versions of the parable. In the two stories, Shams retrieves the books from the ashes, and from water, respectively. Likewise, the poetry of Rumi, inspired by Shams, retrieves the essence of the fallen Muslim civilization, and takes it to a higher plane. Imam Abu Abdullah Muhammad bin Idris Shafii (767-820) was the founder of the Shafii school of jurisprudence in Sunni Islam. His tomb is a prominent landmark of the Old Cairo (Egypt). Shafii receives a glowing tribute from Iqbal in Secrets and Mysteries. The famous saying of Shafii, “Time is a Cutting Sword” is explained by Iqbal at length, with some unconventional observations: Time is non-linear, and more than a series of days and nights. Abul Hasan Ali Hajveri (c.990-1077), popularly known as Data Ganj Bakhsh, was born in Ghazna and died in Lahore (now in Pakistan), where he had been living since sometime after 1030. 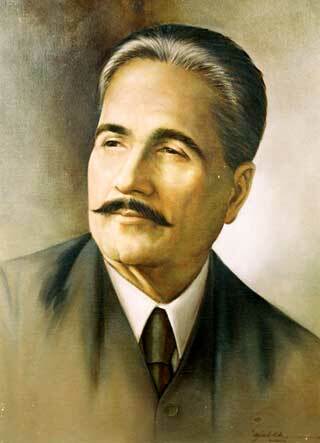 In Secrets and Mysteries (1915-1922) by Iqbal, he appears as a guiding force of Muslim civilization and a role model. Hajveri wrote many books but his only surviving text is Kashful Mahjub (Revelation of the Mystery), which is nothing less than a miracle of non-fiction art: one of the earliest treatises on Sufism, it remains a standard reference work equally suited to the novice as well as the most advanced scholars even more than nine centuries later. The book consists of twenty-five chapters. The first fourteen deal with general concepts of Sufism, such as the affirmation of knowledge, poverty, the etymology of Sufism, and so on. Hajveri’s approach in these chapters is distinguished from Qushayri, the author of a multi-volume treatise on mysticism and some other predecessors, since he seems to be more concerned more with giving insight than information. The last eleven chapters offer a revelation each, from which the book derives its title. These eleven “revelations” are: maarifat (knowledge of the mysteries) of God; unification; faith; purification from foulness; prayer; alms; fasting; pilgrimage; companionship, rules and principles; definitions; and sama (devotional music). It is obvious from the list that Hajveri has based his “revelations” essentially on the obligatory forms of worship and other tenets of Islam practiced by the majority of believers in their everyday lives. The following passage from the third lecture in The Reconstruction of Religious Thought in Islam (1930-34) offers Iqbal’s comments on the Quranic version of the story of Genesis. The remarkable points of difference between the Quranic and the Biblical narrations suggest unmistakably the purpose of the Quranic narration. ‘We created you; then fashioned you; then said We to the angels, “prostrate yourself unto Adam”’ (7: ii). 2. The Quran splits up the legend into two distinct episodes–the one relating to what it describes simply as `the tree' and the other relating to the ‘tree of eternity’ and the ‘kingdom that faileth not’. The first episode is mentioned in the 7th and the second in the 20th Surah of the Quran. According to the Quran, Adam and his wife, led astray by Satan whose function is to create doubts in the minds of men, tasted the fruit of both the trees, whereas according to the Old Testament man was driven out of the Garden of Eden immediately after his first act of disobedience, and God placed, at the eastern side of the garden, angels and a flaming sword, turning on all sides, to keep the way to the tree of life. 3. The Old Testament curses the earth for Adam's act of disobedience; the Quran declares the earth to be the ‘dwelling place’ of man and a ‘source of profit’ to him for the possession of which he ought to be grateful to God. ‘And We have established you on the earth and given you therein the supports of life. How little do ye give thanks!’ (7: 10). Nor is there any reason to suppose that the word Jannat (garden) as used here means the supersensual paradise from which man is supposed to have fallen on this earth. According to the Quran, man is not a stranger on this earth. ‘And We have caused you to grow from the earth’, says the Quran. The Jannat, mentioned in the legend, cannot mean the eternal abode of the righteous. In the sense of the eternal abode of the righteous, Jannat is described by the Quran to be the place ‘wherein the righteous will pass to one another the cup which shall engender no light discourse, no motive to sin’. It is further described to be the place ‘wherein no weariness shall reach the righteous, nor forth from it shall they be cast’. In the Jannat mentioned in the legend, however, the very first event that took place was man’s sin of disobedience followed by his expulsion. In fact, the Quran itself explains the meaning of the word as used in its own narration. In the second episode of the legend the garden is described as a place ‘where there is neither hunger, nor thirst, neither heat nor nakedness’. I am, therefore, inclined to think that the Jannat in the Quranic narration is the conception of a primitive state in which man is practically unrelated to his environment and consequently does not feel the sting of human wants the birth of which alone marks the beginning of human culture. Thus we see that the Quranic legend of the Fall has nothing to do with the first appearance of man on this planet. Its purpose is rather to indicate man's rise from a primitive state of instinctive appetite to the conscious possession of a free self, capable of doubt and disobedience. The Fall does not mean any moral depravity; it is man's transition from simple consciousness to the first flash of self-consciousness, a kind of waking from the dream of nature with a throb of personal causality in one's own being. Nor does the Quran regard the earth as a torture-hall where an elementally wicked humanity is imprisoned for an original act of sin. Man's first act of disobedience was also his first act of free choice; and that is why, according to the Quranic narration, Adam's first transgression was forgiven.